Installing Kodi on your Amazon Firestick or Fire TV opens up a whole new world of home entertainment. The software can be used as a home media organizer as well as a streaming platform for TV channels, movies, TV shows, sports, documentaries, and literally anything watchable. This is thanks to the fact that Kodi supports third-party addons from developers all over the world. 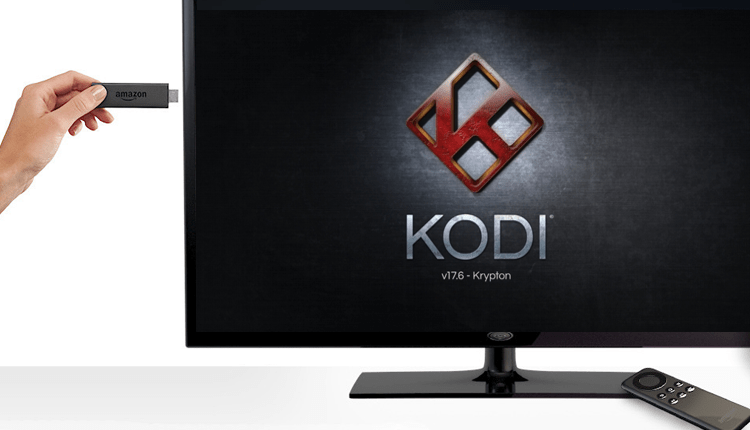 Kodi 18 is available in beta form, but Kodi Krypton 17.6 is the latest stable version of Kodi. It is the version that supports the most addons and in this guide, we’ll show you How to Install Kodi 17.6 on Firestick or Fire TV. There are various ways to do so, but we’ll show you the simplest and the shortest. Installing Kodi is a step by step process without much science; so you just need to follow the instructions carefully and you’re done. But, before you go further a concern arises; your privacy and security protection. Though Kodi in itself is completely legal, most of the third-party addons that make Kodi very useful are not. Consumption of illegal content in today’s world is very dangerous, as ISPs and governments are always spying on you. The crackdown against illegal streaming using Kodi has intensified in the recent past, with sellers of preloaded Kodi boxes being arrested and various streamers facing the law. It is therefore important to mind your own privacy and security before you can stream anything using a third-party Kodi addon. This can be done by using a secure and private that doesn’t compromise on performance and speeds like IPVanish. And offers a money-back guarantee. With the VPN, you won’t have to worry about your privacy or any geo-restrictions that will come your way. If you haven’t installed a VPN, a visit to our tutorial on How to Install Kodi on Firestick or Fire TV, may help you on this task. Once done, return here to proceed. Also, before you can go on with the process on How to Install Kodi 17.6 on Firestick or Fire TV, you first need to allow Firestick to install third-party apps. Now, while at the Firestick home screen, open settings and select device. 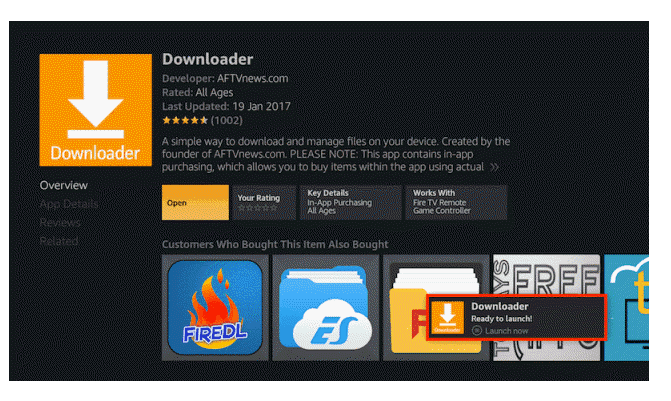 Now, Firestick can install apps that are not from the store. 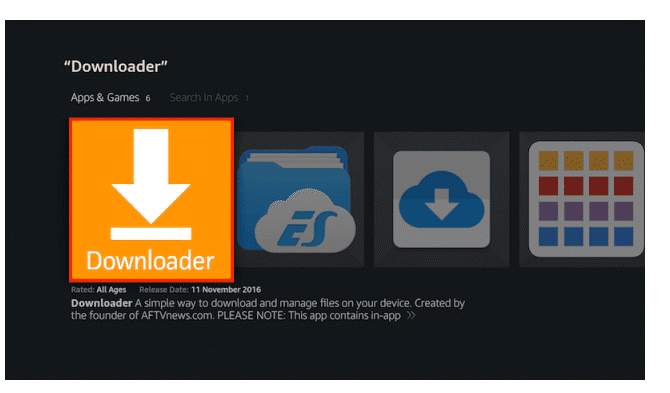 We shall download the apks using Downloader, but this one is readily available on the store. It should be displayed as the first option, and it has a yellow icon. Select it. 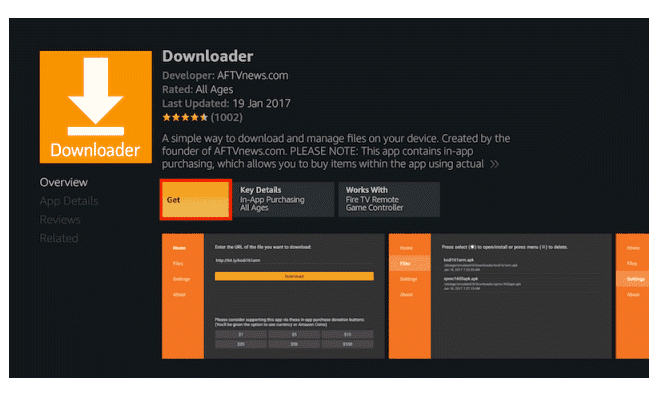 Finally, click “Get” to download and install Downloader on your Firestick or Fire TV. 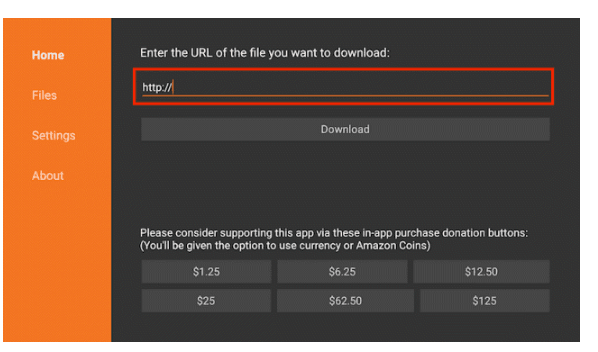 In the URL field of downloader, enter the URL “http://kodi.tv/download” and click ‘Download’. It will open a webpage with the various Kodi applications. Since Firestick and Fire TV are based on a fork of Android, we shall download the Android apk. Select it. Now, choose the 32-bit option, as it the recommended version for Firestick. Your download should now begin. Don’t go back to the Home screen yet. 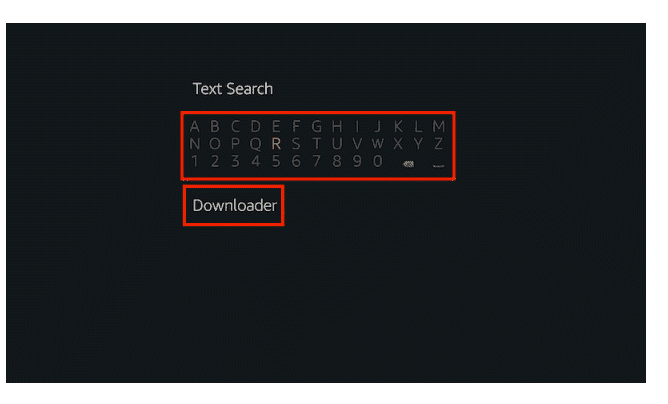 You will be given an option to delete the Kodi install file, If you let Firestick return you to the Downloader app; this will help free up some space on your device. After that, proceed to the home screen and scroll down till you see the Apps shortcut option. Kodi should now be there. If you wish to move it, just highlight it and select move. You can easily install Kodi on your Firestick or Fire TV using the simple procedure above on How to Install Kodi 17.6 on Firestick or Fire TV. However, the power of Kodi lies in its third-party addons, but we have a roundup of the best Kodi addons for you. Remember that before you can stream anything on these addons, you need to enable your VPN first. This will guarantee you privacy and security while you enjoy your favourite content on Kodi. Hope you found this tutorial on How to Install Kodi 17.6 on Firestick or Fire TV, useful!